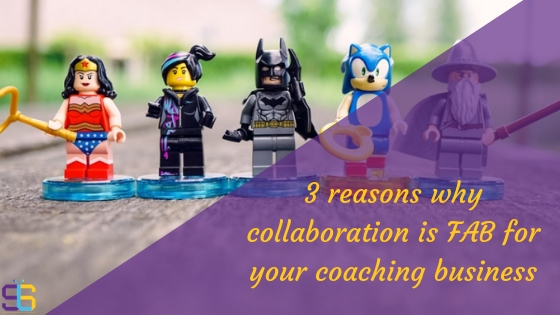 3 reasons why collaboration is FAB for your coaching business! I remember years ago that if someone set up a business doing the same type of service/product that you were doing they would be fierce competition. Your knowledge would be a closely guarded secret… the idea of sharing what you knew on a blog was ridiculous… and the thought of adding your pricing to your website was absurd! Well, you didn’t want to let your competitors know how much you charge now! Thankfully, nowadays business is a lot more transparent… it has to be! And instead of fearing the competition and keeping everything a secret, we are now embracing collaboration. We’re working with those who offer something that we don’t… in order to help our clients’ experience be a happy one. If you still a need bit of persuading that collaboration really is worth the time and effort, below are 3 reasons why I think it’s vital for your coaching business. My other half also runs his own business (2 self-employed people in the same house? We must be mad!). He provides exterior cleaning to properties i.e. render, roof, driveway. In order to add value to his customers he will often collaborate with other trades – for example window cleaners, gardeners etc – and provide an all-in-one package. It’s a win-win situation, not only does his customer receive the best value, but all the trades get work out of it, maybe even repeat work with that customer. Think about your own coaching business – whoever it is you provide coaching for, think about what else you could offer to complement it. So for example, if you’re a health/nutrition coach maybe you could collaborate with a fitness coach, or a mindfulness/wellbeing coach. If you’re a public speaking coach, you could collaborate with a leadership coach. It’s all about adding value to your clients. 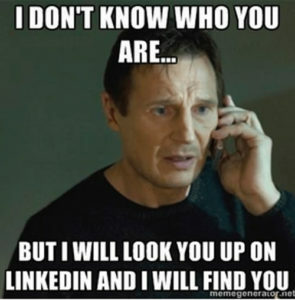 Think about your networking group or your social media followers. Imagine how your circle would expand if you collaborated with another coach… you are growing your network. Working with another coach who has a different circle of contacts or audience to you gives you access to people you may have otherwise never met. By collaborating with other coaches, you are working with people who are in the same situation as you… they get it! You can provide support to each other when needed – use each other as a sounding board and bounce ideas off each other.